The US Surgeon General estimates one in five American high schoolers are vaping. Some studies show it’s closer to one in three. BEAVERTON, Ore. — In a world where nicotine-infused water vapor is marketed on social media like fruity candy and photographed being used by famous celebrities, an in-depth panel put together by the Beaverton School District was an attempt to cut through the noise. “Vaping, Juuling and Teens: Get The Facts," an event moderated by KGW’s Maggie Vespa, took place at Beaverton’s Arts & Communication Magnet Academy on Wednesday night. The eight-person panel was made up of students from the group “Rebels For a Cause" who promote anti-smoking efforts, educators, health experts and a sergeant from the Beaverton Police Department. Students from the group “Rebels For a Cause"
Health experts on the panel zeroed in on alarming stats, showing vaping and Juuling, which means vaping with a specific brand of e-cigarette, are on the rise. District staff say those trends are mirrored in Beaverton’s high schools and middle schools with a lot of kids convinced the products are harmless, since they were originally marketed as safer alternatives for adults addicted to cigarettes. “So, many kids don’t see themselves 10, 15, 20 years down the road when they have breathing problems or if they have health issues because it’s so ‘here and now’ for many of our students,” said Southridge High School principal David Nieslanik. Experts have said studies on the long-term effects of routinely inhaling water vapor haven’t been done because the product is too new. Currently, the FDA is scrambling to regulate it, and the city of San Francisco is weighing an all-out ban on Juul products. 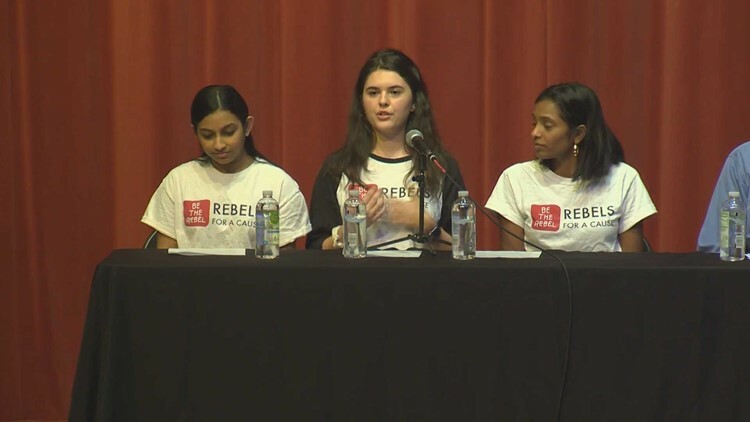 Wearing her “Rebels” T-shirt, 18-year-old Ratna Bhupalam spoke about the phrase the phrase she and her friends feel the e-cig industry regards them: “the guinea pig generation." The addictive effects of consuming nicotine, however, are known, and some of the most popular e-cig products are packed with it. According to the Surgeon General, one Juul cartridge has the nicotine of twenty cigarettes. Parents concerned about their kids getting addicted are turning to people like Eileen Moreton, a lab manager for Any Lab Test Now. 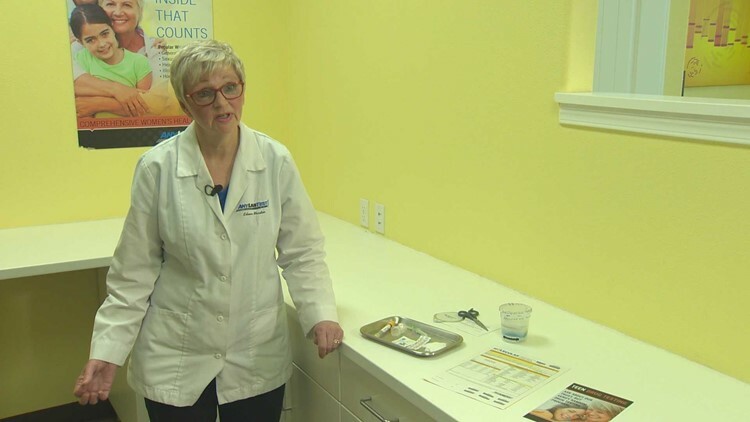 “The number one choice would be the urine test,” she said. Any Lab Test Now offers a $39 student special on urine screenings for nicotine and the byproduct cotinine. She said more and more parents are coming in, either because they’ve just learned about the trend or because they’ve noticed their child experiencing mood swings or a shortened attention span. “We are committed to preventing youth access of JUUL products, and no young person or non-nicotine user should ever try JUUL. We cannot fulfill our mission to provide the world’s one billion adult smokers with a true alternative to combustible cigarettes if youth use continues unabated. That is why we have taken the most dramatic and aggressive steps of any other manufacturer in the industry to prevent underage use with the JUUL Labs Action Plan. “We suspended the distribution of certain flavored JUULpods to traditional retail stores as of November 17, 2018, strengthened the age verification of our industry leading e-commerce site, exited our U.S. Facebook and Instagram accounts, and are developing new technology to further limit youth access and use."